This calculator (S/N 303163) is an early production unit. The Pocketronic was the first portable (hand held) printing calculator commercially available. It was announced in April, 1970; and, based on IC date codes, this unit was probably built in the fourth quarter of 1970. 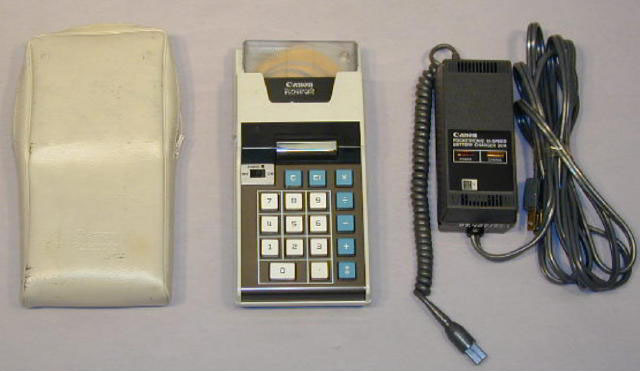 Canon was licensed under the TI calculator patent, and the calculator was developed as a Joint Canon-TI effort. 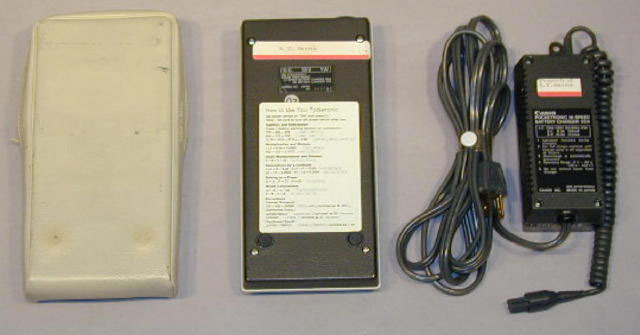 The IC's, transistors and thermal print head (See G00132) were supplied by TI. The calculator is still in working condition.